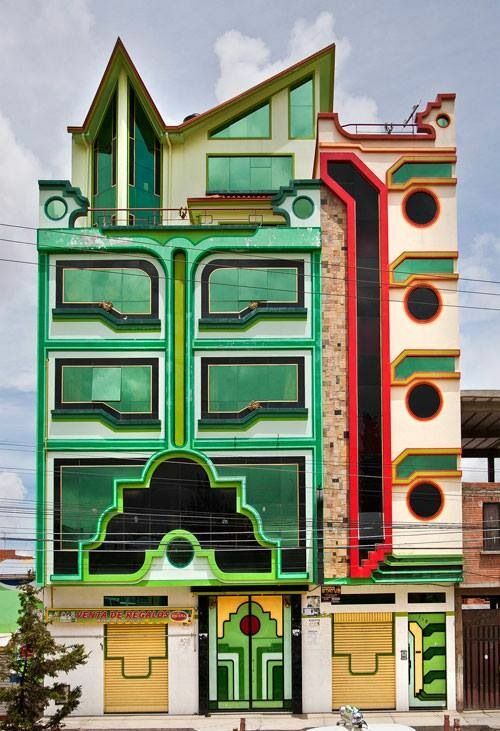 There is an exciting, unique, architectural and cultural movement underway in Bolivia. It has been developed and pioneered by one man, Freddy Mamani. 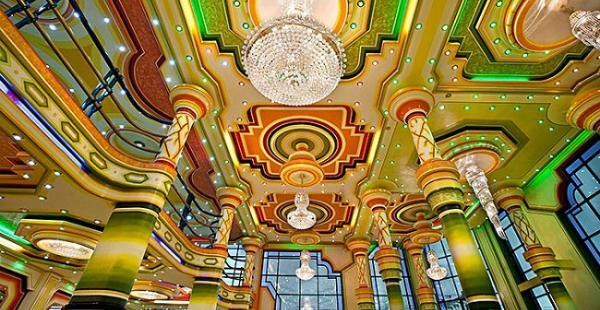 He creates lavish mansions saturated with vibrant, contrasting, colors and geometric shapes inspired by Andean iconography. 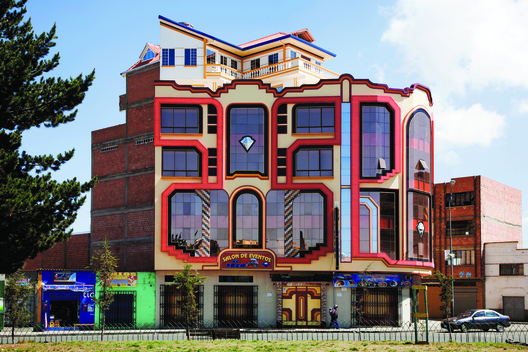 The demand for Mamani’s post-modern Andean Palaces is staggering. He has completed almost 200 of them; each unique, with fluid lines, stunningly colorful, and absolutely beautiful. 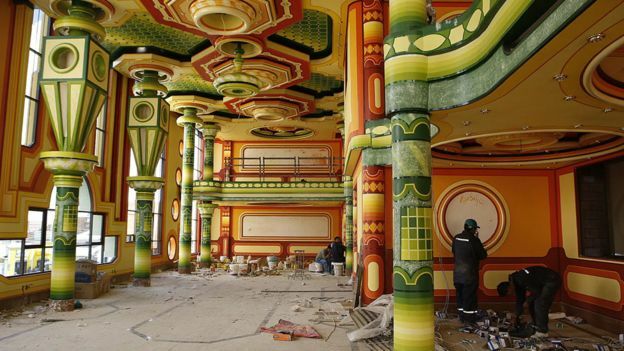 The buildings are known as “Cholets”, but the founding artist and architect Freddy Mamani finds the term demeaning. 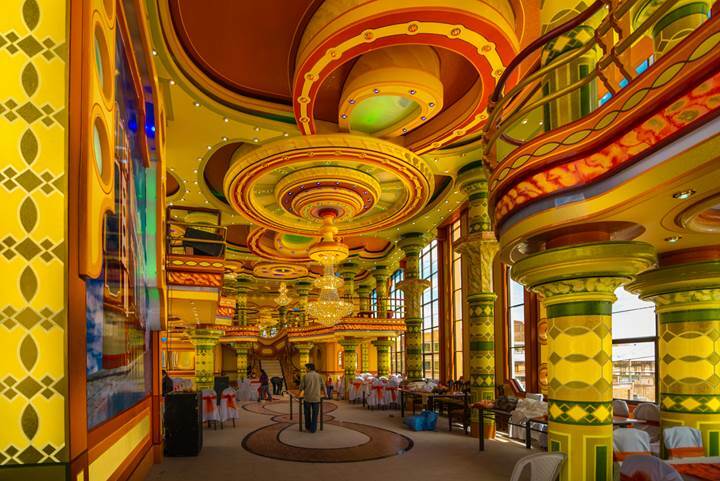 Each Andean Palace represents the resurgence of indigenous Aymara culture and affluence in the region. Since the Spanish conquest and the fall of the Inca Empire, the urban areas have been dominated by Spanish culture. Many urban landscapes are simply void of color, just brick or cement buildings. Indigenous culture continued to flourish in rural and remote regions of Bolivia, accompanied by poverty, injustice, and oppression. 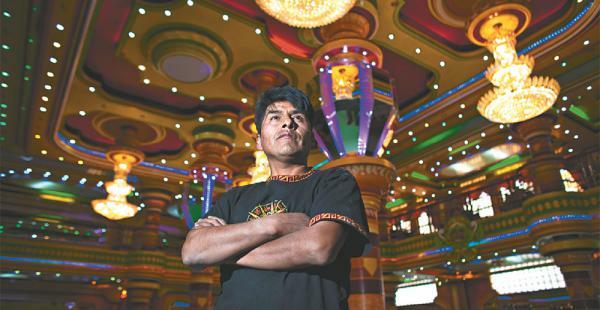 Recent political and economic trends have created a new wealthy class of Aymara. The cholets have sprung up in tandem with an economic boom presided over by Evo Morales, who took office as Bolivia’s first indigenous president in 20061. Mamani’s work is spreading to other countries in South America such as Peru and Brazil. So are copycats, but his work remains distinctively superior.